My name is John Bradfield I was a permanent Rescue Brigade member at Dinas Rescue Station Dinas near Porth. I migrated TO AUSTRALIA IN 1957; would there be records of brigade members from 1945 to 1957? I have in my possession an Eccles’ miner’s lamp, Type 6, stamped ‘COEDELY’ and which has a faint, but clearly legible engraving around the middle ridge “Dinas Rescue Station”. I notice, with interest, that one of your subscribers, John Bradfield, used to be a permanent member of the Dinas Rescue Team but emigrated to Australia in 1957. Perhaps you would be kind enough to forward his email address in order that I may send a photograph of the lamp to him. Alternatively, you are welcome to forward my email address to him. 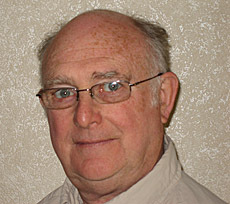 Lewis Merthyr. Trehafod, Glamorganshire. 22nd. November, 1956. 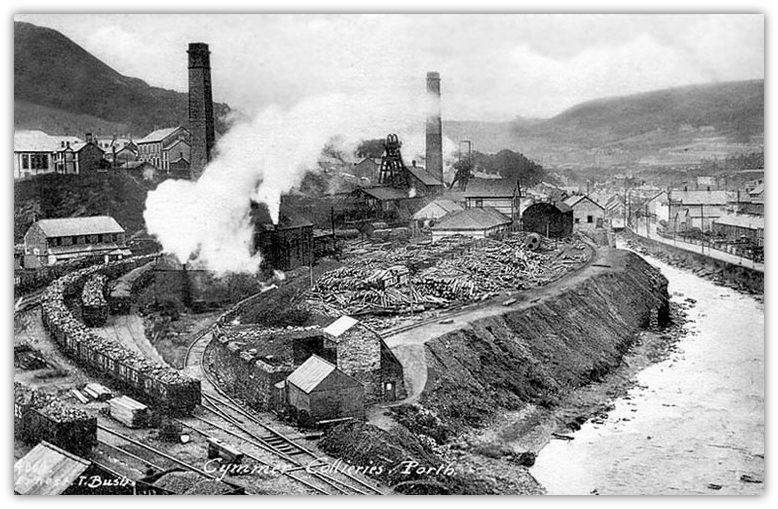 The colliery was situated in the village of Trehafod about 18 miles from Cardiff. The winding shafts for men and materials were known as the Bertie Pit and the Trefor Pit and were sunk about 1878 but high class steam coal had been produced for ten years before this from shafts that were still contained within the mine. There were six vertical shafts serving the mine. Of these, the House Coal shaft and the Cymmer shaft were used for pumping, the Lady shaft for ventilation and was also the upcast shaft, the Hafod shaft was the downcast and was the third means of egress. The output of the colliery was 1,250 tons per day. The mine employed 936 persons underground and 226 on the surface. Mr. W. McDonald, Undermanager for the Bertie Pit. The seams worked at the pit in descending order were the Two Feet Nine, the Six Feet and the Gelli Deg. All the seams were worked by the advancing longwall method and the coal was won by pneumatic picks and was loaded on to conveyors. The only seam affected by the explosion was the Two feet Nine which lay at 328 yards below the surface. The seam had an aggregate thickness of seven feet and contained four dirt bands of varying thickness. The roof was a good clift and the floor was of fireclay and the seam had been extensively worked in the area. At the time of the explosion the N4 district was the only district being worked in the Two Feet Nine seam. The coal was raised at the Trefor pit and comprised the total output of that pit which was about 320 tons per day. The district consisted of a double unit longwall conveyor face served by two end supply roads and a centre loading road. The gradient was negligible. Each side of the face were 105 yards long. The coal was hand got with pneumatic picks and the face advanced four feet six inches on a 48-hour cycle. The coal was fulled only on the morning shift with the cycle of operations arranged so that the face conveyors were moved forward on alternating afternoons. There was a similar alteration in the waste drawing and packing operations done on the afternoon shift. The three roads were ripped on the afternoon and night shifts, the rippings being taken entirely in the roof. Traditionally the working section of this seam had been the lower four feet of the seam with a bed of coal one foot six inches thick forming the roof and the N4 panel had been opened in this way. In September 1956, it had been decided to try to work the full thickness of the seam. By doing this no coal would be lost and better material would be obtained for the packs. By November the whole of the left hand face was being worked to the full thickness of the seam but the right hand face remained as originally developed. All the machinery was driven by compressed air and no electrical power was installed in the district. On each of the three shifts there were two deputies. One was responsible for the working face, the end roads to the junctions with the intake airway and for the centre road to its junction with the return airway. The other deputy was responsible for the intake and return roads outside these junctions. An overman was in charge of the morning shift and the night shift was similarly supervised. The support of the left hand face was by Dowty hydraulic props set to heavy section corrugated steel bars. The bars were set at eight feet intervals with rows of props four feet six inches apart. Strip packs were built eight yards wide leaving wastes ten yards wide. In each waste Walton quick release steel chocks were set along the edge of the waste. On the right hand side of the face, where the work was carried on in the old way, the roof was carried on H section steel props, with both ends closed, set to corrugated steel bars. Wood compression pads were used between the props and the bars. The rows of props were set at four feet six yards apart with the bars four feet apart. On the face, strip packs, five yards wide were built leaving wastes six yards wide. Opposite each waste two hard wood chocks fitted with quick release devices were built. The coal face at the roadhead of the centre road was kept about 12 feet in advance of the general line of the face, and the rippings were taken to the coalhead. The roof was supported by means of steel arches, 14 feet wide, set at intervals of four feet six inches to correspond with the advance of the face conveyors. These steel arches were a temporary means of support from the span of the roof, about 20 feet long, between the coal head and the permanent roadway supports, which consisted of steel arches of similar dimensions but had the straight portion of each leg cut off and a curved steel plate welded on. This rested on a soft wooden cog which formed part of the ten yard wide roadside packs. These permanent supports were set three feet apart and the cogs were erected to the height of the face working. The end supply roads were supported in the same way but the interval between the inbye permanent support and the face did not exceed ten feet as these roadways were not advanced in front of the general line of the face. The district was ventilated by air from the Hafod downcast shaft which returned direct to the Trefor upcast shaft. The end roads served as intakes and the centre loading road as a common return. Air measurements made on the 5th November 1956 showed 7,828 cubic feet of air per minute entering the left hand face, 7,201 cubic feet entering the right hand face and 15,442 cubic feet returning on the centre road. Air samples showed methane content in the centre road as 0.06 per cent. The reports made by the deputies showed that inflammable gas had been found on four occasions since the district started production in February 1956. All the reports were ‘of blowers diluted at the point of issue’ at the waste edge. Explosives were not normally used in the district. The roof rippings in all three gate roads were got down by pneumatic picks. The only case of a shot being fired anywhere in the district was on 16th November 1956 when one shot was fired in the floor at the centre road. The shot was necessary to grade the road through a fault. To suppress dust the seam was systematically infuse with water and this proved satisfactory. The roadways were regularly treated with limestone dust and the most recent samples taken before the explosion occurred showed the incombustible content of the dust on the floor to be 78 per cent and on the roof and sides 75 per cent.